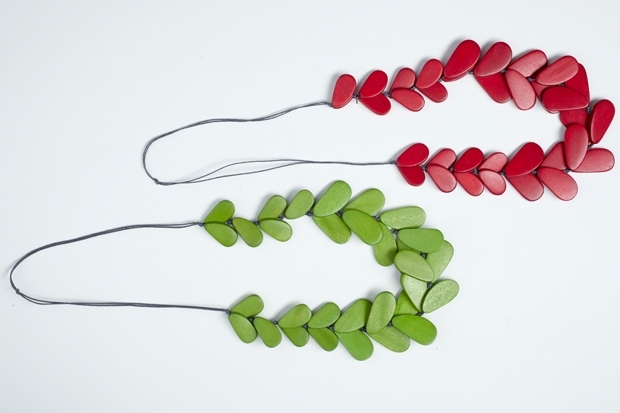 All the way from Melbourne, Australia, come these gorgeous statement necklace handmade from carved wooden leaves. It’s by Elk, a company that designs contemporary accessories and jewelry in natural hues and made from raw materials sourced from around the world. Available in the Museum Shop, $45.